By using this resource, students learn (1) how to perform a thorough literature search using the proper resources and processes, and (2) how to distinguish between good and bad sources. 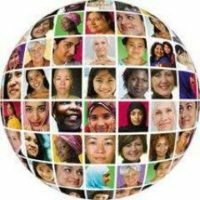 N2Women is very excited to announce the inaugural list of “10 women in networking/communications that you should WATCH.” The women nominated have all had impact on our field, early in their careers. Slides from the Grad Cohort 2017 Workshop. 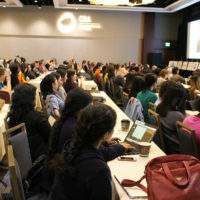 This session focuses on the difference in research positions and opportunities in industry and academia. It describes expectations and challenges in both. Slides from the Grad Cohort 2018 Workshop. This session will focus on the difference in research positions and opportunities in industry and academia. Slides from the Grad Cohort 2017 Workshop. 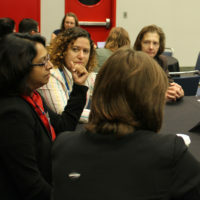 This session focused on the different career paths in academia. Consider research, teaching, and service, and how they differ by institution and position. As a faulty member, how can you ensure that you have all that you need? 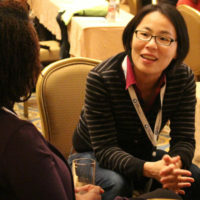 This session discussed negotiating strategies for those in academia. 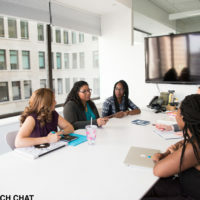 This discussion focuses primarily on advice about time and life management in the early years through negotiations. 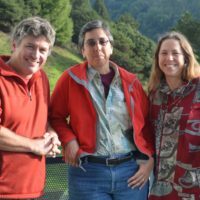 Topics include how and when to ask, how to say no, and how to find resources. 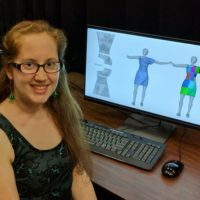 Get the slides, recording and FAQ from Tanya Amert’s research presentation of her recent Virtual Undergraduate Town Hall on accelerated cloth simulation for virtual try-on and Graduate School Applications 101. 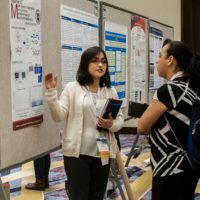 Successful strategies for advising and supervising graduate students in research, e.g., strategies for effective communication, creating a productive environment, and guiding professional development. 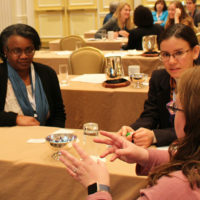 This workshop discussed successful strategies for advising graduate students in research; strategies for effective communication, creating a productive environment, and more. 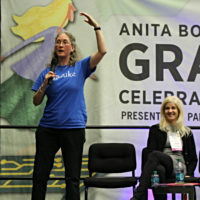 This Grace Hopper 2016 session addressed how faculty can balance the various demands of academia, including teaching, research and service. Slides from the Grad Cohort 2015 Workshop. 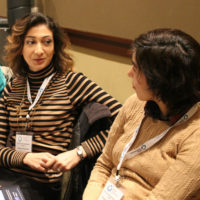 This session addressed strategies for maintaining balance and a positive perspective in your life during graduate school and throughout your career. Slides from the Grad Cohort 2017 Workshop. 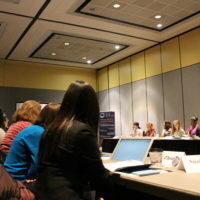 This session addressed strategies for maintaining balance and positive perspective during graduate school & your career. 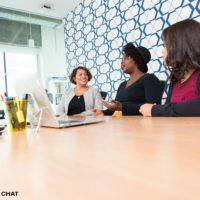 Gail C. Murphy and Joanne M. Atlee provide seven tips for identifying the most impactful opportunities to take on and deciding how and when to say no gracefully. This panel covered strategies for building and being recognized for your leadership skills, and establishing a long-term leadership role. 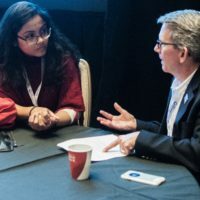 Learn to be a better mentor by using these best practices recommended by past Career Mentoring Workshop speakers. Slides from the Grad Cohort 2017 Workshop. This session addressed the confidence crisis that graduate students often face and how to persist towards your goals and milestones. Slides from Grad Cohort 2015 Workshop. 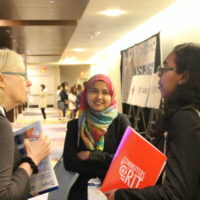 This session addressed the confidence crisis that grad students often face: how to recover from not doing as well as you expected. 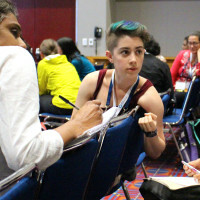 This session at Grace Hopper 2015 addressed the confidence crisis that graduate students often face. The discussion focused on issues and rewards of continuing towards goals and milestones in grad school. 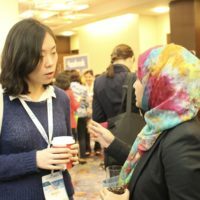 This Grace Hopper 2017 session addressed how to build an academic professional network. 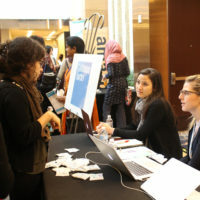 Discussing the benefits of building a professional network, networking skills, and more. 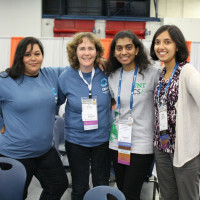 This Grace Hopper 2016 session addressed how to build an academic professional network. 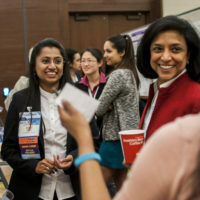 Discussing the benefits of building a professional network, networking skills, and more. This session will address the dos and don’ts of building a professional image. Topics will include web presence, dissemination of technical contributions, and professional ethics. The dos and don’ts of building a professional image. Including web presence (personal pages and social media), dissemination of technical contributions, and professional ethics. This publication is a culmination of a decade of information provided at the CRA-W Career Mentoring Workshops from 1993-1999. Slides from the Grad Cohort 2017 Workshop. This session discussed key aspects of a thesis proposal including how to choose your committee and prepare your proposal defense. 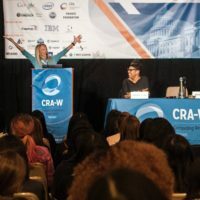 This CRA-E resource was designed in conjunction with award-winning producer Patrick Sammon (co-producer of “Codebreaker”) to explain the benefits of pursuing a PhD in CS. 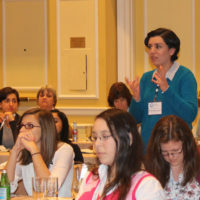 This session discusses practical tips for effective computer science teaching and reviews the current pedagogy theories and strategies. Best practices for conducting education research are given. This exercise helps mentors teach their students how to read and analyze someone else’s code. 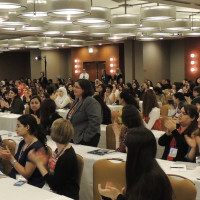 Created by our CRA-W Board in 2018, here are some tips and and suggestions to ensure that conferences are safe, unbiased, and comfortable for each participant. This video was created in celebration of CRA-W’s 25th anniversary, providing an overview of the subcommittee’s mission and various programs. Participants of the CRA-W GHC 2016 Research Scholars program will use this passport to navigate the conference to have a better understanding of the activities that are provided for undergraduate students. 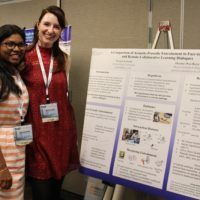 This one pager highlights advice from past Grad Cohort workshops, how working in a research group might not always be easy, but explains how having a strategy will help you create a better environment. 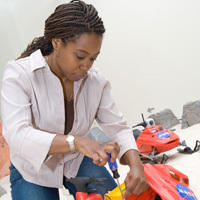 Get the slides, recording and FAQ from Ayanna Howard’s webinar on Designing Healthcare Robots for Children with Special Needs and Finding and Making the Most of an Undergraduate Research Experience. 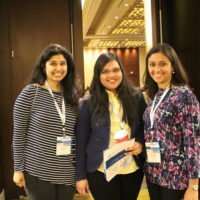 At FCRC 2015, CRA-W hosted an early and mid career mentoring workshop. 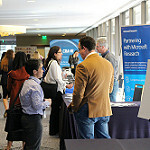 Sessions covered topics ranging from promotion, mentoring, and networking for industry, lab and academic researchers. 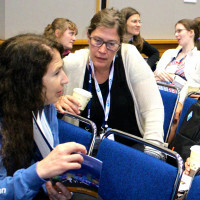 View the program from the Early-CMW at SIGCSE 2015 workshop. Includes sessions, speakers, and information on the location of the 2015 workshop. 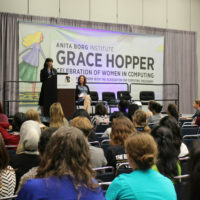 This session at Grace Hopper 2015 session covers strategies for building a long-term leadership role in your organization including communication, developing consensus, delegating, and recognizing others. 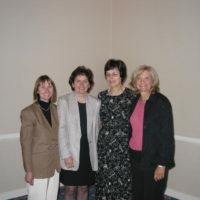 This panel covered strategies for building and being recognized for your leadership skills. Strategies for building a long-term leadership role in your organization and recognition of others. 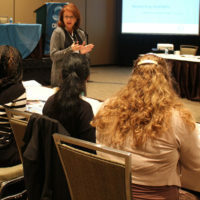 This session discussed how to plan, manage, run and assess a course, covering evaluations, large enrollments, teaching assistants, and more. 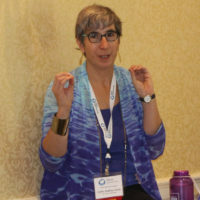 This Grace Hopper 21016 session addressed how faculty can teach more effectively and better manage classes. Discussing interactive teaching methods, class planning, course evaluations and more. This workshop focused on how to plan, manage, run and assess a course, as well as deal effectively with large enrollments, Teaching Assistants and more. In this session, we will cover both current theories on educational pedagogy as well as very practical suggestions and resources to thrive in the classroom. This session discussed how to plan, manage, run and assess a course; covering large enrollments, evaluations, online teaching, and more. 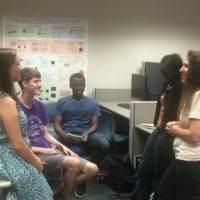 Students learn how to give a brief 2-5 minutes overview of their research interests and start a conversation about research. 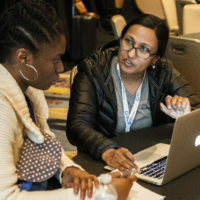 Get the slides, recording and FAQ from Deb Agarwal’s webinar on Enabling Science Breakthroughs Using Computer Science and the mentoring session on ‘Becoming a Leader’. This session highlighted different approaches on how to gain visibility and recognition within an organization, and how to decide which one is right for your goals and personality. This session will discuss some of the benefits, and drawbacks of pursuing entrepreneurial opportunities. 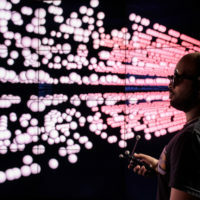 It will describe what skills are critical for such ventures and how to identify entrepreneurial opportunities. Slides from the Grad Cohort 2017 Workshop. This session focused on how to identify financial support for your academic studies, including positioning for research assistantships and fellowship opportunities. Slides from the Grad Cohort 2017 Workshop. This session focused on strategies to identify your Ph.D. dissertation topic including how your career plans may influence your decision. 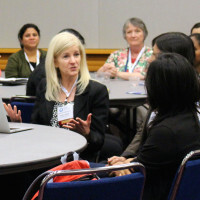 This session at Grace Hopper 2015 focused on strategies for actively identifying a viable research topic for grad students’ dissertation. 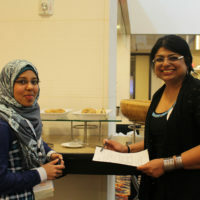 The discussion described the various aspects of a research topic, and how to set reasonable goals and milestones. Check or uncheck these filters to show resources filtered by your choices. If no choices are made, all resources will be displayed (default state).